I am going to do my best to have explore the materials available and look at some of the video lectures and course notes. I also hope to find some new to me Scandi Film and TV as there is a broad topic range over the ten weeks. Week 9 is Scandinavian Television After 2000 so if you only want to read about Nordic Noir, you’ll have to wait until then. Are you taking part in the course? Anything you have learned and would like to share? 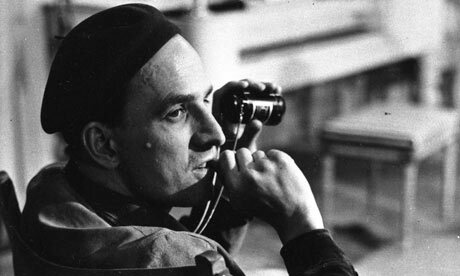 Or any amazing Scandinavian films or series you’ve discovered thanks to it? I hope everyone is recovered from last night’s big Bridge finale! Tonight there is more Scandinavian action on TV, but of a gentler variety. Hugh Fearnley-Whittingstall is journeying around Sweden, Denmark and Norway to find out what makes these countries so happy and, of course, to do some cooking. In the first episode, airing tonight, he will go hunting in northern Sweden and cook for his hunting buddies. He will also be stopping off in Stockholm and Gothenburg and find time for a visit to the ABBA museum. And by the looks of the trailer, he gets to try some Surströmming too! The series begins tonight on Channel 4 at 8pm and will also be available for catch up on 4OD. Are you watching? Let me know what you thought of the show when you’ve seen it! There is a treat for any fans of The Killing tonight as Lars Mikkelsen (TROELS!!) 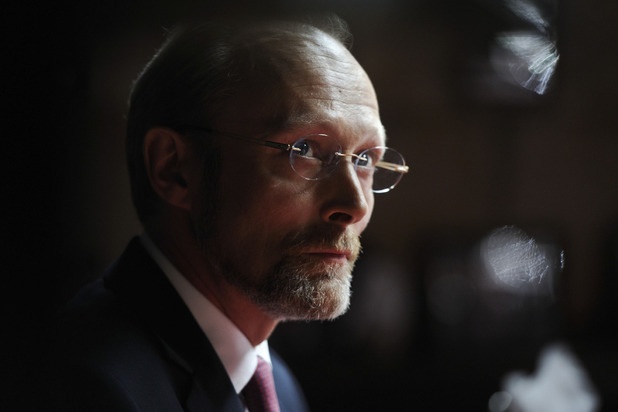 is starring as blackmailer Charles Augustus Magnussen in tonight’s Sherlock. According to reports online he is “utterly terrifying” and had to ham up his Scandinavian accent for the role. I’m curious to find out how much of Scandinavia we’ll see. A shot of his super-stylish Danish evil lair? Will he be snacking on cinnamon buns and sipping strong coffee as he plots? Creating LEGO models of the crime scene? Or cycling from victim to victim? Well hopefully it won’t get too ridiculous but I can’t wait to see where they’re going with this. Will he make it to series 4? Have you spotted any of your favourite Nordic actors in UK/US shows? Did they bring some Scandi style? Sorry I was too excited last week and forgot to post but The Bridge is back! Saga and Martin are back investigating a crime involving some mysterious goings-on at the Öresund Bridge between Copenhagen and Malmö. Last series had me totally gripped and this year has had the same effect. As soon as the first double-bill was over, I wanted more! The plot will inevitably be bonkers again, and started well in episodes 1 and 2. Eco-activisits in animal masks! Pneumonic flu! A kid setting himself alight! And of course we get to follow the relationship between Saga and Martin. He is still in grief, she is trying to be ‘normal’ (why?!) and their romantic relationships are all over the place. If you have not been watching, get on iPlayer now and be ready at 9pm tonight on BBC 4 for the next two episodes. We can expect more discussion of Nordic Noir and hopefully there will be more Scandi TV on in the UK soon. We also have to wonder how they will make Series three. A train crash on the bridge? A plane hijacked to hit it? Any ideas? Are you watching The Bridge? What are your favourite Nordic TV shows? A Nordic-inspired coffee table caught my eye while flicking through GoodHomes magazine at the hairdresser’s this week. Turns out it was the aptly-named ‘Copenhagen’ model by Sainsbury’s. It is part of a range which also includes a console table, media storage, shelving and some very cool nesting tables with a 60s/70s vibe. The range starts at £149 so would definitely come under the ‘investment’ price bracket for me (and the £738 oak bookcase can be added to my ‘dream Swedish flat’ moodboard). The items seem well-built and solid and the two reviews online are very positive. What are your favourite items from the range?